When it comes to deciding on the best upholstery fabric for sofas there is no one size fits all and with so many choices it can be a downright overwhelming task for some. If you make the wrong choice it can be costly and make for an uncomfortable feeling every time you enter the room that showcases that sofa. Our goal is to help you ease that pressure by showing you how to choose the best upholstery fabric for sofas the first time. A sofa is often the centerpiece of your room and one that is well crafted will be worth the investment for years to come. 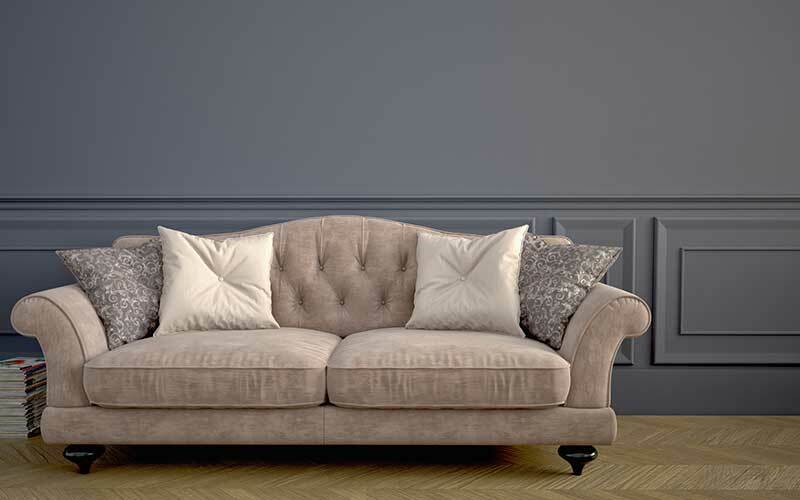 One of the first things to consider when choosing an upholstery fabric for a sofa is to choose a fabric that will be durable, resistant to stains and something that can withstand normal wear and tear over time. 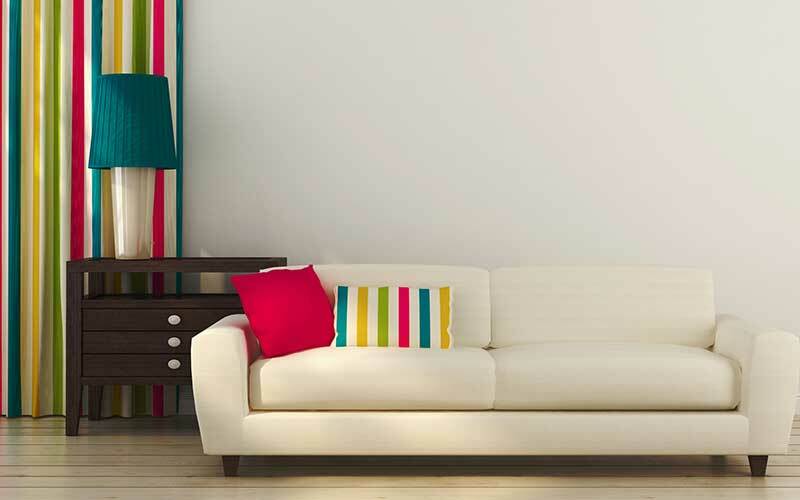 When it comes to upholstery fabric durability there are several things to keep in mind. What room will the sofa be in? Do you have children and or pets? Your choice of fabric should be reflected in your answers to those questions. You can choose woven fabric or printed, consider that woven patterns tend to be more durable and longer lasting than printed fabric. If you have children and or pets you may even consider leather or microfiber for extra durability. We’ve discussed upholstery fabric color before in our article “how to choose the best upholstery fabric.” The color of your sofa is probably one of the first things you consider when choosing your fabric. Think about the room and what color will complement the existing color scheme. You’ll also want to think long-term unless you have an unlimited budget and can change your furniture with the trends. Choose a color that you feel you can still be happy with several years from now, and for that reason, it’s advisable to choose a more neutral tone and use pillows to accent with pops of color. There are so many fabric choices available these days. You have everything from texture to patterns and classic to modern. You can choose to go bold or stay in the neutral zone. With so many choices it’s often advisable to see an expert that can help you choose the best upholstery fabric for your sofa. At Bob’s fabric and upholstery, you can count on us to help you choose the perfect sofa fabric for you and your family. We are here to help you transform your room into something that you can enjoy for years ahead. Our Marietta fabric store is located on Canton road and we have a huge selection of designer fabrics in our showroom. Feel free to give us a call at 770-421-1278 and we’ll be glad to help you choose the perfect upholstery fabric for your sofa. I am looking to recover 3 sofa seat cushions and 3 sofa back cushions with 2 small toss pillows. I do not have the fabric yet. Could I get an estimate on the labor charge? (This is a rattan sunroom sofa where the cushions have faded. I will select a lighter nubby fabric this time. The cushions have a top, bottom and gusset, with piping on top and bottom. No need for zipper unless you have to put it there to close up the seam. The back cushions and toss pillows are just a front and back with piping, again no zipper needed. And what is the wait time?